Olive, Otto, and Oscar Are Back! 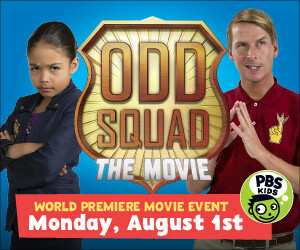 In this feature-length ODD SQUAD event, a rival group of adults called Weird Team arrive with a gadget that fixes any odd problem. As a result, Odd Squad is run out of business and all the agents are forced to disband and go back to their lives as regular kids. Using math skills and teamwork, the kids discovery Team Weird isn’t actually solving problems, but just covering them up. The Season 2 cast teams up with the Season 1 cast to stop Weird Team and save the world from destruction. Watch on WSKG TV at 8:00am and 4:00pm on Monday, August 1, 2016 and Friday, August 5, 2016.